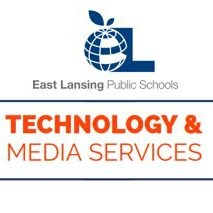 We’re pleased to announce that East Lansing Public Schools will be offering a 3-day conference style PD on July 13th, 14th and 15th where teachers and staff will have the opportunity to come earn up to 15 hours of DPPD in various areas of technology. The purpose of this event is to bring educators together from Michigan K-12 schools to model how to use technology in instruction to support teaching and learning. Session topics will include Discovery Ed, classroom AV, Foxbright (new ELPS website platform), Weebly, SMART Notebook, iPads, OneNote, Office Mix, online tech skills, Hour of Code and much more. We see Michigan educators as leaders of using district technologies and would love to see you share your experience and knowledge with the ELPS and MichEd communities. We also encourage you to pass this on to anyone who may be interested in presenting a great session at East Lansing’s technology conference. The deadline to submit is Friday, June 19. All submissions will be peer reviewed by our technology department and classroom teachers. You will be notified if your proposal was accepted by Friday, June 26. Stay tuned for a complete schedule with session descriptions by July 1. Presentations – team or individual proposals accepted. Panels – panel discussions will be considered. They may be organized and submitted as a group by a panel coordinator or an individual may submit their particular viewpoint to become part of a panel. Hand-on Lab – sessions featuring real world scenarios and advanced techniques will be accepted. Those that express interest in presenting will receive more details regarding time frame and potential compensation. There are currently no expenses tied to attending this technology conference. However, if expenses do arise, a complimentary pass will be given to speakers. If you are interested in presenting, please use this form to apply. Questions, comments or concerns should be directed to Kali Root (kali.root at elps.us), Kathy Kowalski (kathryn.kowalski at elps.us) or Christian Palasty (christian.palasty at elps.us).